Okay, this may be a bit of a shocker, but Research In Motion released the BlackBerry PlayBook 2.0 OS today! We here at CrackBerry have spent of most of the day poking and prodding the new OS to learn of its secrets. It seems you have as well. One of the biggest questions we're seeing from you is how do you sync Microsoft Outlook contacts and calendar entries with the PlayBook? 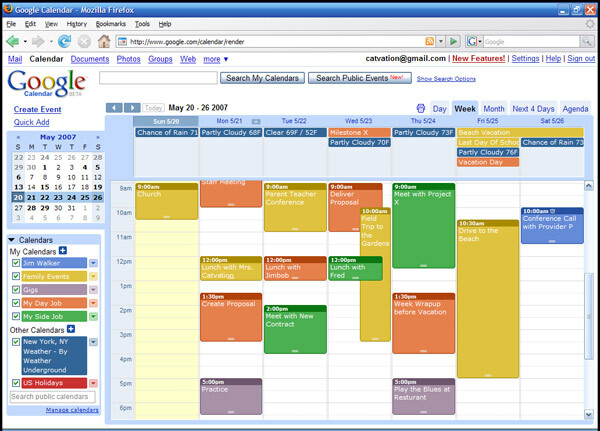 Outlook is a very powerful email and scheduling client used by many companies and individuals. At the moment, it appears that those users who connect to a Microsoft Exchange server have no issues with syncing - though web access to that account might be required. Not everybody uses an Exchange server though. For the many who use Outlook as an email reader - perhaps with accounts like siteowner@mywebsite.com, the PlayBook won't be able to retrieve your contacts without a little outside help. 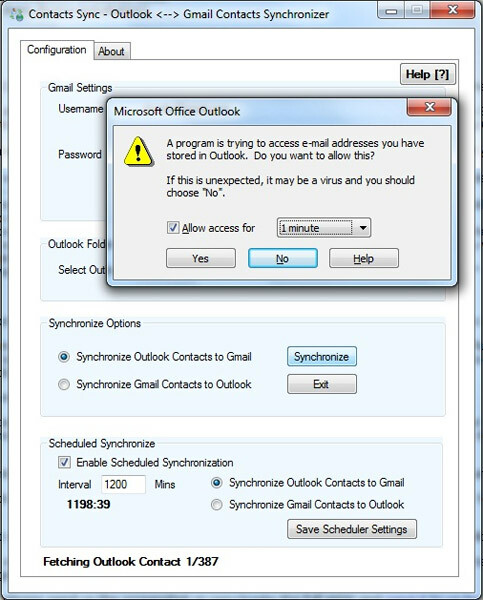 To do that, I'm going to suggest you sync your Outlook contacts and calendar with a GMail account. How-to's after the break. Syncing your Outlook Calendar to GMail is the easy part. Download and install Google Calendar Sync. Once it starts, select how you want your calendar entries to work. Done. I've used the program before, and it works well. Your calendar gets sent to the Google cloud. 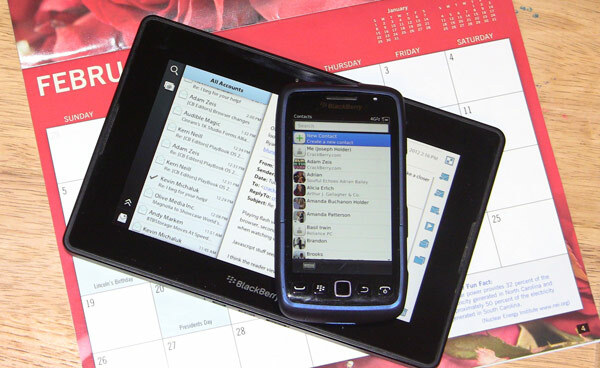 Add that same GMail account to your PlayBook, and your Outlook calendar is synced with your BlackBerry PlayBook. Unfortunately, things are not quite so simple in syncing Outlook contacts. While Google does make a program for doing just that, it's only for those folks who already pay for Google Apps. If you're looking for less expensive option, CNET.com has put together a nice how-to on using the free utility Contacts Sync. You do have to authorize the application to access your gMail account, so you'll first have to sign in to Google before downloading the tool. Once your contacts have been uploaded to Google, they should soon appear on your PlayBook. Getting your Outlook contacts and calendars to your PlayBook requires a little bit of work. But after that small amount of effort is done, your PlayBook and Outlook contacts and calendars will be in lockstep, with just a little help from GMail. And certainly, this is only a temporary measure. I doubt it will be too long before you're reading our guide about how BlackBerry Desktop Software will do all of this for you.